Following surgery or unintended injury rehabilitation focuses on restoring normal function through graded exercise programmes. This work is the “bread and butter” of physiotherapy and occupational therapists. Our deepening understanding of why some patients have difficulty rehabilitating their limbs following injury has revealed that co-ordination between the somatosensory cortex and the motor cortex is key. 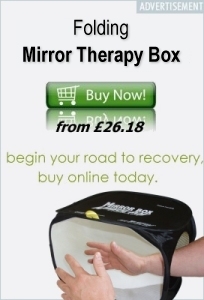 Further more input from vision and mirror visualisation techniques can play a very helpful and significant role in speeding up and increasing the effectiveness of physiotherapy routines, which can easily be undertaken using the mirror box mirror. This approach has been described in the literature in anecdotal evidence, case reports and clinical trial work. 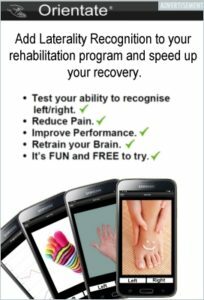 The evidence is building that using mirror therapy particularly with the hand following injury be it accidental or post surgery can have a beneficial effect on rehabilitation.